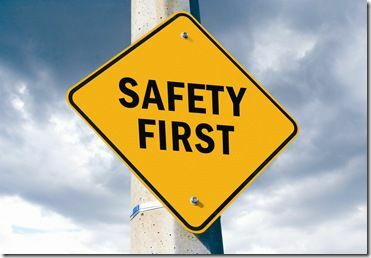 There is a new focus on the safety of riders on ATV’s. The Manager of the Motor Industry Association (MIA) Motorcycle Group Clive Hellyer said that they are working very closely with the Department of Labor and other agencies to develop this policy which focuses on changing behaviors including ATV riders and their attitudes toward safety practices. The safety practice they are closely focused on, is that ATV riders make sure to always wear a helmet. About twelve months ago, an active on farm compliance campaign was launched to work toward safety on quads. This policy looks at how there is no quick fix to reductions in accidents and injuries that come from irresponsible rider practices, such as not wearing a helmet. Hellyar says the report is based on a systematic approaching that identifies the problem, measures it, implements a solution and monitors progress. The MIA group will continue to work toward a solution that makes ATVs safer. Hellyar says the report will be something to look forward to next year, in which they hope to implement change. Have you been the victim of a serious ATV or recreational vehicle crash? If so, you should contact an experienced ATV accident attorney. Attorney Chris Davis has represented accident victims for over 25 years. Contact Davis Law Group at (206) 727-4000 to schedule a free consultation today.